I will keep releasing these episodes day after day, as these are already finished and the batch came in not too long ago. Accel World EX2 should follow after these releases pretty quickly. Anyway, this is episode three out of eight, and will keep making no sense at all during the episodes. What do you think of these episodes? Opening fire on someone… I wonder how that feels. 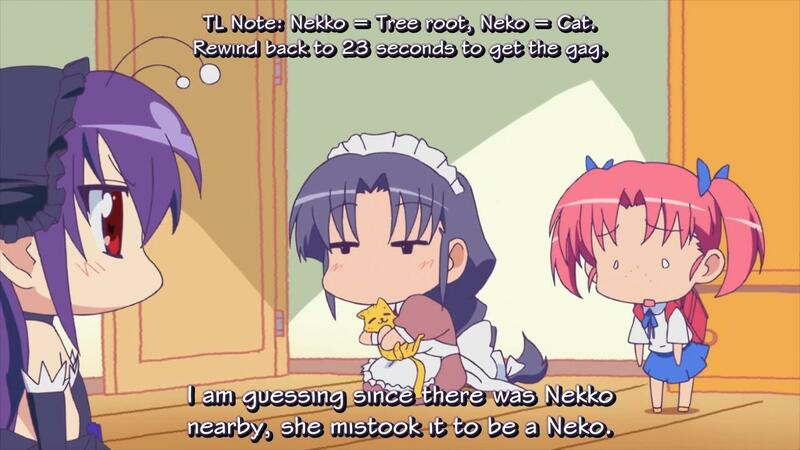 This joke is a pretty complex one to translate literally. 火蓋が切られる (hibuta ga kirareru) is a proverb meaning “to commence (a battle)” by literally cutting the cover of a gun barrel. But here, they switch around kanji, splitting the “hibuta” into 火(hi, fire) and 豚(buta, pig). Remember what I said in episode two about the reading of pig? 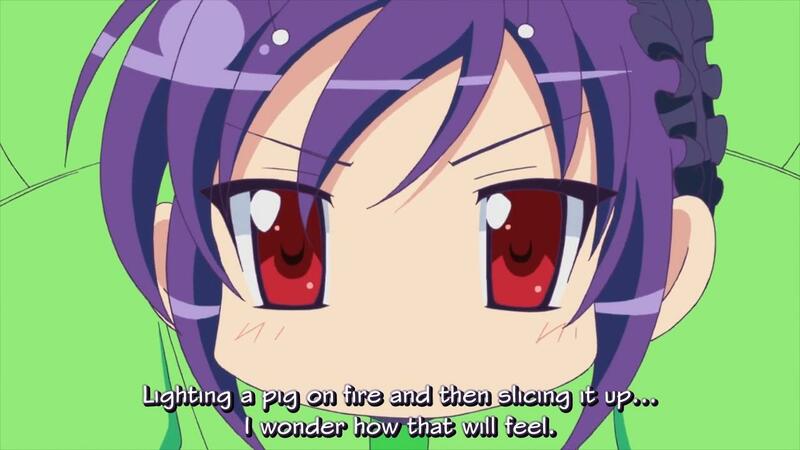 So here, she wonders how it’d feel if you cut a pig which is on fire. My guess is that she mistook it as a cat because she was at a tree root. Let’s call it cats already. 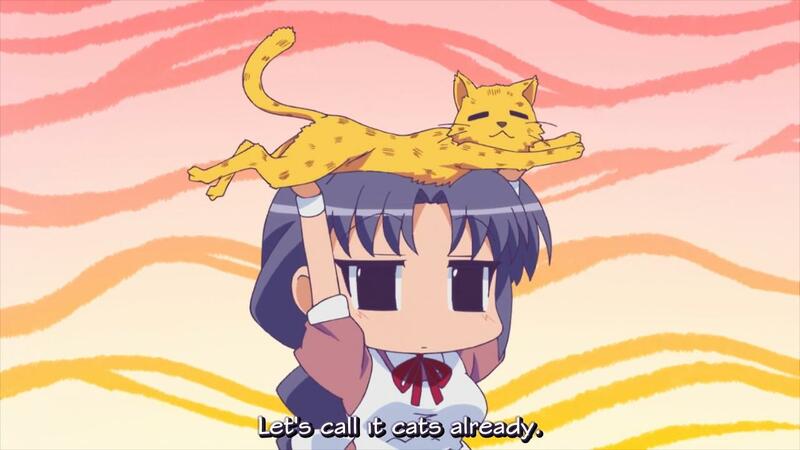 Since this episode is all about cats, I might as well add a pun regarding cats in this line. I’m not making things up though; this line already had a “hyou”(leopard) joke in Japanese in it, so I thought it was nice to make some kind of variant on “Let’s call it quits already”. Since cats sounds quite similar, why not?